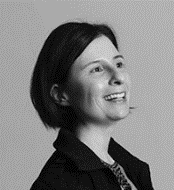 Robyn is researcher with more than 18 years’ applied research experience. She has worked as a researcher and analyst in the private, non-governmental and academic sectors, and has experience in social and development research, policy analysis and training and education, both in South Africa and elsewhere in Africa. She obtained a BA Honours degree in Anthropology from the University of Durham in the United Kingdom and a Master’s of Social Science in Development Studies from the University of KwaZulu-Natal. Over the course of her professional career she has worked on issues as diverse as land reform, crime and victimization, human trafficking and people’s knowledge and attitudes towards HIV/AIDS and the epidemic’s implications for human security. Following almost a decade developmentally-oriented research in the private and NGO sectors, she became interested in the linkages between development and disasters, and returned university in the mid-2000s, obtaining a post-graduate degree in Disaster Risk Science from the University of Cape Town, and later her doctorate, which focused on flooding in informal settlements and low-cost housing in Cape Town. Her recent research projects include multi-disciplinary post-event review of high-impact weather events in the Western Cape and a review on risk and resilience in African cities. She also convenes RADAR’s MPhil programme in DRSD at Stellenbosch University. Pharoah, R (2016). Strengthening Urban Resilience in African Cities: Understanding and addressing urban risk. ActionAid International. 2003 – 2014. Research Alliance for Disaster and Risk Reduction (RADAR): Stellenbosch University. R Pharoah (2014). Built-in Risk: Linking housing concerns and flood risk in subsidised housing settlements in Cape Town, South Africa. International Journal of Disaster Risk, vol. 5(4). Pharoah, R, Fortune, G, Chasi, V and Holloway, A (2013). The Environment and Risk Reduction: Focus on urban risk. Input paper for Integrated Urban Development Framework. South African Cities Network. Pharoah, R (2009). ‘Fire risk in informal settlements in Cape Town’. In Pelling, M and Wisner, B (eds.) Disaster Risk Reduction: Cases from Urban Africa. Earthscan: London/Sterling, VA.
Pharoah, R (2009). Sustainable Livelihoods and the Disaster-Poverty Nexus. Input paper prepared for the United Nations International Strategy for Disaster Risk Reduction’s 2009 Global Assessment Report on Disaster Risk Reduction. Ndinga-Muvumba, A and Pharoah, R (eds.) (2008). HIV/AIDS and society in South Africa. Scottsville: University of KwaZulu-Natal Press.